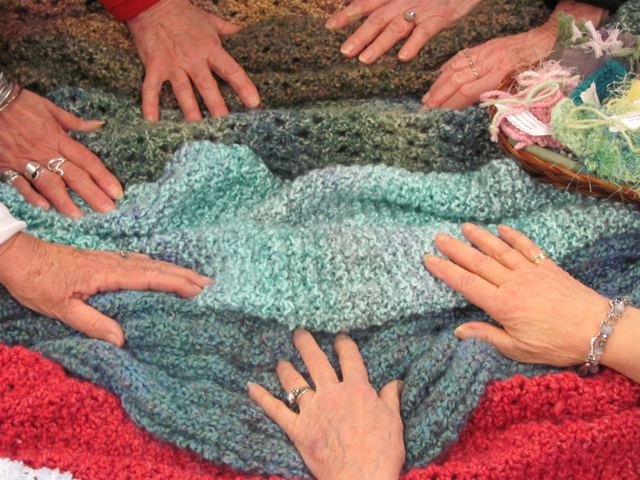 The Prayer Shawl Ministry meets on the third Thursday of each month at 10:00 a.m. in the Library of the Education Building. Its purpose is to knit, weave, or crochet shawls as the ministry’s participants pray for God’s blessing on those in need of pastoral care. The end product is not only a lovely source of warmth, but it is also a tangible means of comfort. Each shawl represents the loving witness of prayer offered by a community knit together by the Spirit of God.We encourage all who enjoy knitting to take part in this prayerful ministry. Inquiries about the Prayer Shawl ministry should be directed to Elizabeth Baker.